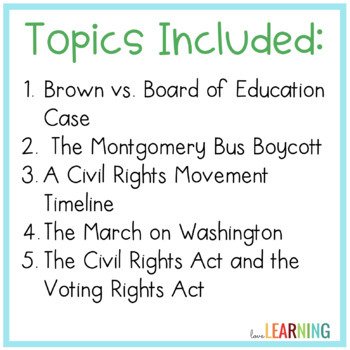 This Civil Rights Movement Webquest is a fun way to incorporate technology into your social studies classroom. 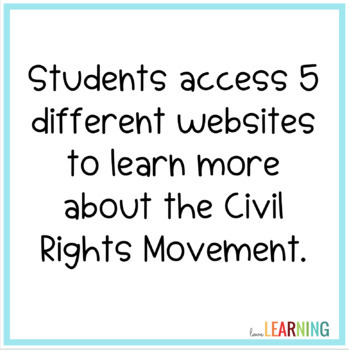 Students click through six different websites in order to answer the questions and learn about the Civil Rights Movement. 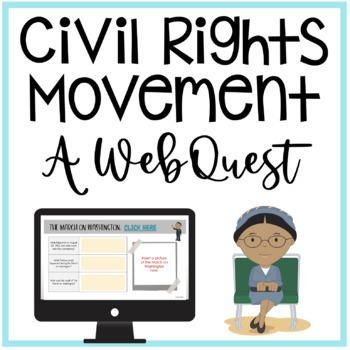 The webquest includes a version with and without the answer key. 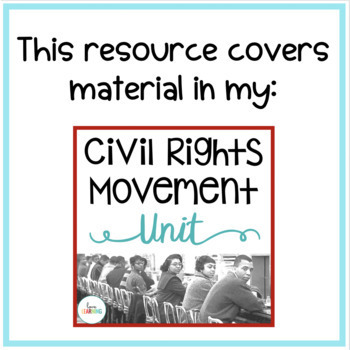 The file without the answer key can be uploaded to Google Classroom for easy use.